Women aren't the only ones who worry about their skin and how it appears to others. As a matter of fact I know some men who are much worse. Frownies would be perfect for them! I for one will be going into that site and seeing if they have those patches they mention below for women!! Frownies has been making natural skin care and wrinkle patches for the face since 1889. Due to this people who use Frownies, enjoy a wrinkle free appearance without surgery. 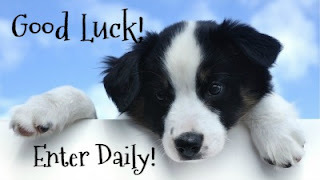 If you visit their site, you will find great products that are free from all the harmful chemicals. These products are good for all skin tones, and all skin types. Most noteworthy is their men's line of John George products. 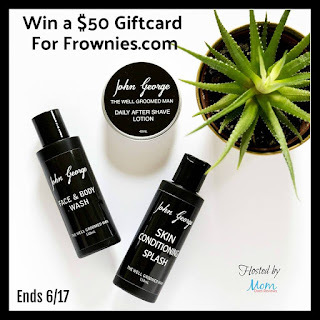 You can get all three great products in this giveaway or your choice of other products up to $5o! The wrong soap will leave your skin dry and damaged prone. 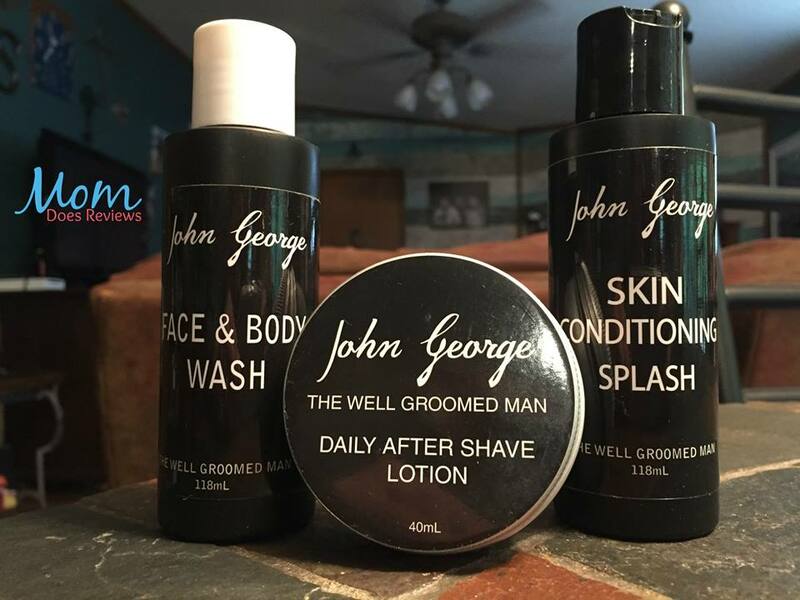 John George face and body wash removes dirt and excess oil, without stripping off the good stuff. There is natural fruit cider to exfoliate dead dry skin, while the surface skin stays clean and clear. Plus it has essential oils to lend it a masculine scent, treat skin and prevents breakouts, and emotionally leave the men feeling strong and confidant. In addition to these great ingredients, John George is free of mineral oil, parabens, polysorbate, and has no animal testing. This Face & Body Wash will leave skin with a healthy natural feel- not to dry, and not to oily. This Skin Conditioning Splash has aloe to help smooth razor burn and dryness. It comforts just shaven skin. Plus it has essential oils, such as Myrrh and Tea Tree Oil, that are anti-bacterial, and anti-fungal. Therefore it helps fight breakouts on just shaven skin, with healing, cleaning, and anti-inflammatory properties. Now men can have soft, moisturized skin all year long. 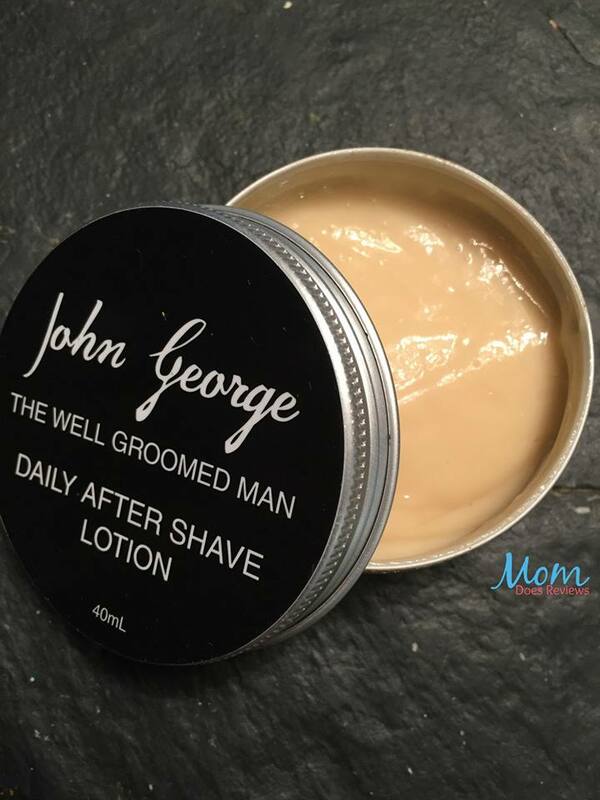 The After Shave Lotion is a light caramel gel that will provide all day hydration. It absorbs quickly and aids skin to retain, restore, and replenish moisture on a guy's face, neck, and head. The quality organic and natural ingredients in this help combat the effects of dry weather and environmental stress on skin. Even one day in the sun or wind can dry skin, and make it look aged. 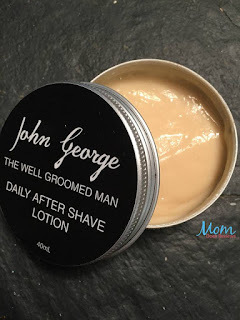 This John George lotion has aloe for conditioning, and lipids of oat for protection. Then it has anti-oxidants and vitamin E.
Enter daily for more chances to win!!!!!!!! Lots! Especially under my eyes and upper lip.